Injured in a motor vehicle collision, truck, motorcycle, pedestrian, slip and fall, injured on the job or work related illness or injury? Riverside California Accident Injury Attorneys close by and by your side! Don't do it alone or without the right legal guidance. Contact us Now! 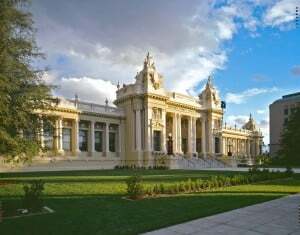 Riverside California Lawsuit Attorneys - We Get Results! 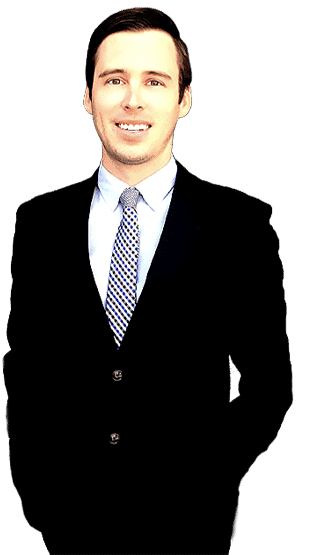 Riverside California attorney Alexander D. Napolin, Esq. of the Napolin Law Firm, Inc. located in the City of Riverside. The law office is conveniently available to serve the City’s residents as well as those who live in its surrounding communities. Mr. Napolin’s areas of law practice include general, contracts, general counsel, personal injury law, employment law, auto accident cases, wage & hour violations, and workers’ compensation law. If you are looking for a Riverside California attorney to consult with, you should contact Mr. Napolin today at 1-951-200-5035 . You can be sure that when you call the law office that you will be able to speak with him directly as soon as he is available. Also know that you will be able to set up a time for a consultation to discuss your legal need or issue. We take pride in the legal services that we provide and the high level of communication that we have with our clients. From the first phone call with us to the conclusion of the legal issue or case, we show our client’s why we are different than most law firms. Let us show you starting with our first conversation together directly with the owner of our firm. 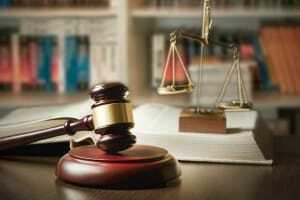 Many types of legal issues require representation in court to recovery money damages. Those who believe they have a cause of action for money damages will receive a free legal consultation and case evaluation. Attorney fees on such cases is taken on a contingency fee instead of an hourly rate of pay. 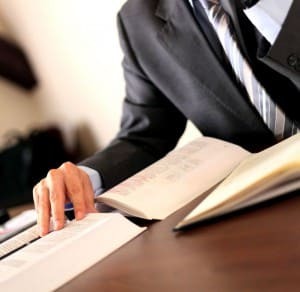 Those who are looking for other types of services such as contract drafting, general counsel, general legal advice and litigation help can receive a 45 minute legal consultation for a small fee. If we cannot solve the issue or offer appropriate legal experience to the legal problem faced, we most likely can refer you to an experienced lawyer who does in our building or nearby. 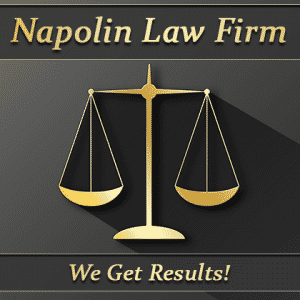 To learn more about our law practice visit www.NapolinLaw.com. We are located at 11801 Pierce St #200. Riverside, Ca. 92505. We see clients by appointment Monday through Friday 9:00AM to 6:00PM and offer appointments on the weekends depending on urgency and importance. Many legal issues are time sensitive and require immediate attention in order to be dealt with in the proper manner. Do not go without timely professional help when you have a local lawyer who has the breadth of experience to analyze your circumstances and take care of you and your situation appropriately. If you or a loved one has suffered a physical harm due to the actions of another person, it is important for you to consult with an experienced lawyer regarding your rights. Riverside personal injury attorney Alexander Napolin will consult with you for free to assess your rights against a person or entity who has injured you or one of your family members or friends. 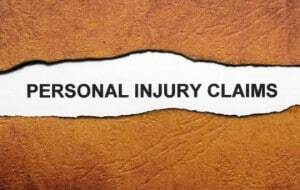 In order to receive compensation for your injuries, you will need to file a personal injury claim with the liability insurance company of the person or entity that caused the harm to occur. You will want to have had an experienced lawyer building your case from day one so that your claim has high settlement value and can be successfully brought to trial against the person or entity who injured you. Personal Injury attorney Alexander Napolin knows how to present your case, make a strong settlement demand to the insurance company and, if necessary, bring your case to a trial on the merits if you are not offered a fair settlement for your injuries. But that is not all that he will do for you. By retaining our law office, you will have guidance and support every step of the way. We offer free consultations by phone or in person. Handle all Communications with the Insurance Company – The second you hire our law firm, you will no longer have to listen to an insurance adjuster who cares nothing about you tell you how little your case is worth or how there is no way you could have been injured by their insured. We will take over all communications with the insurance company so that you can concentrate on getting medical treatment and working toward recovery. Medical Evaluation and Treatment – Even if you do not have health insurance, there is no issue. We will help you find a doctor to provide you with a medical evaluation and ongoing medical care. Property Damage – In the event your personal property was damaged or destroyed by the neglect of another, we will help you repair or replace the damaged or destroyed property. Loss of Earnings or Wages – In the event you cannot work while you recover from your injuries, our office will assist you in obtainingdisability benefits so you can stay afloat financially. Also, when your case is ready to settle, our attorneys will demand that you are compensated for your loss of earnings for the time you needed to be out of work to recovery from your injuries. Settlement Negotiations – Following a course of medical treatment prescribed by your doctor, our attorneys will collect your medical records and bills and, after personally discussing the matter of settlement with you, will prepare a settlement demand package that will be forwarded to the negligent party’s insurance company. Trial on the Merits – In the event that you are not offered a fair settlement, Riverside personal injury attorney Alexander Napolin will prepare your case to be brought to trial. Physical injuries can be debilitating and recovery is often difficult. Usually, people who have suffered from injuries as the result of another’s negligence end up involving themselves in the legal process to obtain compensation for their injuries. Being involved in the legal process is often one of the most stressful and taxing experiences in life. This stress can increase recovery time and negatively affect the injured person’s life in other ways. When it comes to finding the right personal injury lawyer for your accident injury case, you should choose a lawyer who is going to take the time to counsel you throughout the legal process. Thorough and consistent counseling from the attorney ensures that the client is aware of where there case is, where their case is headed and what to expect, and this awareness can significantly lower the high levels of stress many people experience when going though any type of legal process. If you are involved in an auto accident in Riverside Ca.. Get the help of a qualified and experienced motor vehicle accident lawsuit attorney. 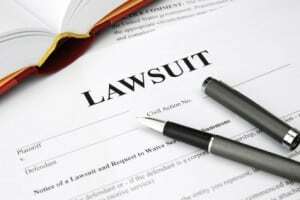 Filing a personal injury lawsuit claim after an auto accident is very crucial and time sensitive. Make sure you hire a law professional immediately before moving forward alone. Driver’s license number of the other driver. License plate of the other driver’s car. If possible, verify all this information by requesting that the other driver produce their driver’s license and insurance card. If you have a phone that can take pictures, take a snapshot of the front side of all documents produced by the other driver. It is possible the other driver could lie to you and provide false information. Having pictures or copying directly from documentation will lower the chance that the other driver could take off without giving you enough information to identify them. It's common that after an accident you might take down information incorrectly, which could lead to you having to do stressful information searches to identify the person who you were involved in an accident with or to identify the owner of the automobile. Remember to always call 911 to have an officer come out to the scene to facilitate the exchange of information. Many police departments write police reports, but are not required to write a report. Ask the officer if the officer intends to write a report. If he does, make sure you get the accident report number. You will be able to get that report a few weeks after the accident. If the officer informs you that no report will be produced and you believe you are not at fault, it is always a good idea to attempt to get the other driver to admit fault in the officer’s presence. If the officer is not writing a report, it is extremely critical that you collect the above 5 pieces of information and keep it in a safe place. It is always safe to call a Personal Injury Law Attorney before you talk to your insurance company, especially the insurance company of the other driver. Whatever you do, do not give anyone, whether it be your insurance or the other driver’s insurance, your recorded statement. Nothing good can come of it. It is best to call an Auto Accident Attorney and have them represent you. This way there is a barrier between you and the insurance company. Remember, the insurance company makes money by paying as little on each claim as possible. They do not want to pay you a dime and will use your words against you to not pay. In need of a Pomona, Riverside, Rialto, San Bernardino, Riverside, Upland, Rancho Cucamonga, Fontana, Riverside, Riverside, Chino, Corona, Riverside, Covina, Azusa, Duarte, Pasadena, West Covina, Colton, San Dimas, Monrovia, Chino Hills, Montclair, Redlands California Personal Injury Auto Accident Lawyer, call Napolin Law Firm at 1-951-200-5035 or fill out a case evaluation form at www.NapolinLaw.com. Worker Injury Claim Benefits, Workers' Compensation, Workplace Injuries, On the Job Accidents in Riverside Ca. Each year thousands of workers are injured on the job in California. When you are injured at work, you are covered by a certain branch of personal injury law known as Workers Compensation Law. If you have suffered an injury on the job or are experiencing pain as a result of repetitive work or toxic exposure from your job, you should be able to get medical attention and time off from work to recover from your injuries. Unfortunately, a significant number of injured workers have difficulty getting benefits from their employer and the insurance company. Many times the insurance company will not tell the injured worker of all the benefits to which the insured worker is entitled. Other times, the insurance company will completely deny that the injury ever occurred or completely refuse to administer the appropriate benefits due the employee under the law. No matter what challenges you face, if you have been injured at work, you should speak about your situation with an experienced Riverside California workers compensation lawyer like Alexander Napolin. When you call Mr. Napolin at 1-951-200-5035, he will speak with you for free about your unique legal situation today. Riverside Workers Comp. Lawyer helps Fight for Your Benefits! Find out more on Workers' Comp.? Contact A Riverside Work Injury Lawyer Today! Answer any questions you have regarding your case! Determine your maximum compensation rate! Give you advice about what to do in a difficult situation! Investigate the insurance coverage of your employer! Conduct research on your accident! Protect your best interests and rights! Whether or not you choose to hire an attorney and file a lawsuit, you should seek counsel with a knowledgeable California workers compensation lawyer to discuss your legal options. A free phone call with Mr. Napolin will provide you with a better understanding of your legal situation so that you can make informed and educated decisions about what to do. There is no reason you should handle your claim alone when a confidential phone call to Mr. Napolin is absolutely free and requires no obligation to hire him. And, should you choose to hire Mr. Napolin to take on the insurance company, you will only pay him if he settles or wins your case. All workers compensation cases are taken on a contingency fee basis, meaning the attorney fee is taken as a percentage of recovery. Mr. Napolin has successfully helped thousands of injured workers navigate the complex California workers’ compensation laws. He looks forward to learning about your unique situation and developing a plan to get you the justice and benefits that you deserve! Riverside California Work Injury Lawyer – Your workers compensation legal professional could basically work as an advisor to help his / her client as the most cost-efficient approach to deal with every phase of the court system. 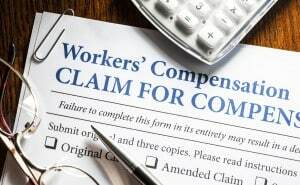 It is definitely, therefore, essential for any seriously injured employee to speak to a workers’ compensation law attorney immediately. Get the help you need by hiring a lawyer, you can receive Compensation Benefits by Choosing the right law Attorney today. If you, a family member or friend have any injury related legal issues please contact our law offices. Call Now: 1-951-200-5035 - We are available!